I hate to brag, but can I? Okay, okay, I’ll hush up. But seriously, can I at least say that my pickypants Mister said these ranked up there with “the best of the best”? That is kind of major, because he is sort of, um, how do you say…”particular”? I mean I love the guy, and he will eat anything I make, but getting him to get excited over food is about as easy as getting him excited over organizing the pantry. Except, oddly enough, he LOVES organizing the pantry! But I digress…. We like to talk about the Tex-Mex transition – how to satisfy the craving without going all GMO and corn-based. (And yes, while I realize empanadas did not get their roots in Tex-Mex, for me it falls into the same category of my Latin persuasion food obsession – ask any Texan). To call it a challenge would just skim the surface. I mean this food IS corn. It IS cheese. It IS beans. And it IS rice. 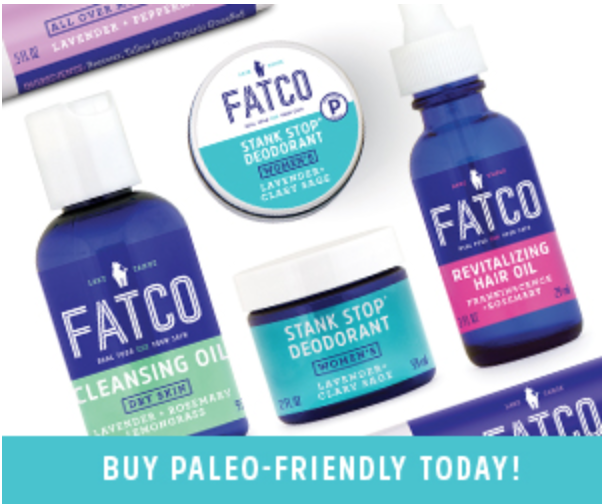 It’s other stuff too, but dang, Paleo is like the antithesis of these foods I love. Y’all smellin’ what I’m steppin’ in? Well I did it. I brought the “T” in Tex-Mex. And the “ex-Mex” too for that matter. These Paleo Empanadas were killer. So I gotta share em. I feel like sharing a recipe like this might help give me extra points to get into Heaven or something. Or at least make a few new friends. The yuca should feel dough like and allow you to work it easily with your hands. If it is sticky you can start adding in the coconut flour, one tablespoon at a time. Thanks Kim! Hope you love them! Do you have the nutritional info? How many carbs and fiber? I can’t wait to make these!! Hi cindy, sorry I do not have the carbs/fiber info but you can likely google it since the yuca is basically the sole source of carbs. I don’t count carbs since I just stick to grain free, refined sugar free and use whole ingredients. If you are more keto though, I can understand why you’d have to dig a little deeper! Thank you! Can’t wait to make these! My mom is From Costa Rica and I grew up eating yucca as a soup ingredient. My friend from the Philippines makes a cake out of yucca but I think there is dairy in it. Do these freeze well?? 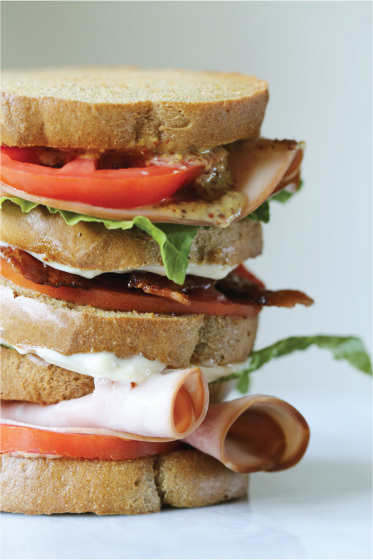 I want to make them for my daughters lunch a couple days this week….? When made with yucca they are called Alcapurria’ (Puerto Rico) or ‘Carimañola’ (Panamá). This is not new, it has been around for many years in the Caribbean and South America. Is there a sub for yuca that is lower carb? Zucchini or radish or turnip???? Not that I know of due to yuca’s majestic qualities but if you play around and find something that works well, please come back and let me know! Yes! All of my recipes are grain and gluten free! Where does one find yucca?!? I have looked everywhere here in Ohio (except Whole Foods because there is not one near me) and found nada. I’m a Puerto Rican girl and would love to make a decent, paleo empanada! I was able to find mine at Giant (mainstream grocery). I am not sure about in Ohio but I wonder if you have a South American/Latin market you might try? They would likely have it! I live in Ohio in the Cincinnati area and I JUST found Yucca in my local Kroger. I am sure Whole Foods would have it as well! If you are in the Cincinnati, Ohio area, Jungle Jim’s has Yuca! Genius! How does the yucca taste? Does it have a crunchy texture like white-flour empanadas? Yes! They are crispy after being fried. And the yuca is very “gluten” like in texture luckily but without the grain base or inflammatory properties! I need more guidance – how do you work the yuka? Is it cool? Warm? And how do you cook it? On a cookie sheet? Oil? This looks so awesome but all I have is a yuka-meaty mess! HELP! Yes! On a cookie sheet you want to bake your empanadas before frying them. Did you let your yuca cool and form it into a loaf first? The cooling helps the yuca take on a more glutenous form and become easier to handle. Hope this helps!! You can also pat it and try to work the dough before filling it and see if that helps. Good luck! Well, you’ve just made a friend here! Being born in Texas, raised in Puerto Rico, and now living in Texas again married to a man from Monterrey, MX… You could say I have a Latin food obsession. I am surprised how much Mexican food is actually fresh whole food, but there are times that you really do miss tortillas and empanadas…sometimes I am reading comments on marksdailyapple where people say comments like ‘I just don’t get what is so difficult about not eating tortillas’, and I think ‘yep, they’re not from Texas!’ I can’t wait to try this recipe! Thanks so much for sharing. Christin you are so right! They are NOT from Texas haha! I have often said I could survive on Tacos and Queso for the rest of my life. Except I cannot survive on either because my body does not want GRAIN OR DAIRY! Hope you like these! These look amazing! Is yuca same as cassava? Can I use frozen yucca? I have not seen/heard of buying frozen yuca. I would imagine you could still boil it, but it might take a little longer to cook and become soft. I use frozen Yuca all the time for fries. I find the fiberous center difficult to work out in fresh yuca. 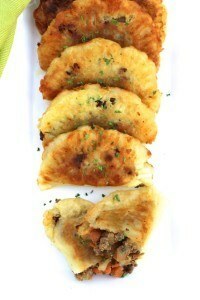 I plan on make these empanadas next week. I am so excited! To do my fries I usually thaw the yuca out on the counter then boil it for about 6-7 min (the boil is less that it would be for fresh yuca). These look so amazing, I cannot wait for next week! Great Laurie! I have never worked with frozen yuca – will have to check it out sometime! 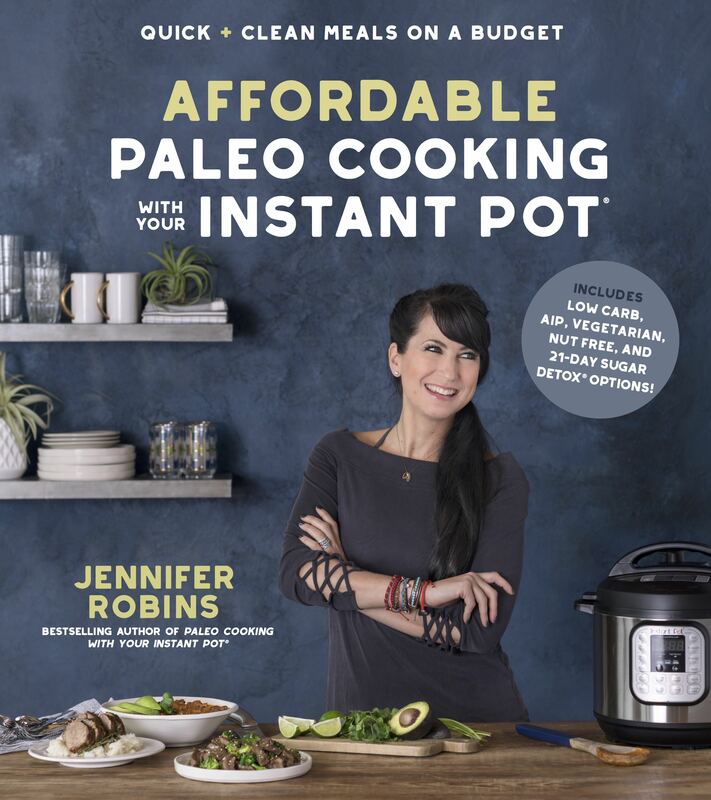 Hi Jennifer, Do you remove the fibrous center of the Yuca after you boil it for this recipe? I didn’t notice it in the instructions. 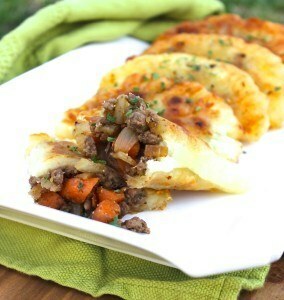 I want to make these exactly as directed and use the fresh yuca the first time around. Its a total bonus if I don’t have to remove that! Laurie, I do not remove the woody core but you can! I boil it after peeling the outside and then pull out any tough pieces after I let the dough cool. Hope this helps! I’m about to try this with frozen yuca and I reckon it’ll be fine. The curious coconut got me turned on to frozen yuca. They even carry bags at my local Winn Dixie! It’s frozen fresh (yuca is so perishable and that’s why they coat the whole ones in that nasty waxy stuff) so it’s never blighted like some fresh ones are. And it’s already peeled so it’s so convenient. I use frozen to make fries and yuca hash all the time and when I have to use a fresh one it’s never as good. Yuca is such a fricking godsend! Yes! I use frozen yuca all the time. It’s awesome and no guessing about whether or not it’s fresh! Can I use another oil? I have mot yet tried avocaso oil, so I don’t have any in the house. You can try Coconut or Olive though I do not recommend frying with oil at high temps. You could also potentially use lard if you have some. Can one bake empanadas instead of frying? I bake these first and they are definitely edible that way but will not become quite as crispy. You could consider brushing with some additional oil and increasing the heat in the oven to see if they will crisp up better! Perhaps I’m confused here- that happens often. But, I don’t see in the recipe where you gave instructions in regards to the following ingredients and what to do with them? I am hoping they go in the meat mixture? So confused. Help!! Thank you. This looks amazing. I have all the ingredients, just need to know where the spices go. Yes! In the meat mixture, sorry! No worries! Thank you. I assumed as much. I made these yesterday and wanted to report back that they were AMAZING! I was blown away at how good the “dough” came out after being blended and how much it was like real dough. One tip I can share from my experience when making the “half moons”. Leave the part that you will fold over the meat mixture a bit thicker than the part you don’t fold over top. It seemed to work better that way for me so that it didn’t rip when pulling it over across the meat filling to the other side. Yay Nicole! So glad they worked out for you. I definitely think getting used to working with Yuca can take some finessing but after awhile it gets easier, don’t you think? Thanks for sharing! Would a flour sub be possible? As in Casava/Yucca flour? Not sure I’ve seen the veg (in Australia here)… Still searching in Asian groccers still.. Thanks! I bought some recently in Aunt Maggie’s in Melbourne, so they are around! But haven’t seen them anywhere else … yet. They look amazing. Do you think they will freeze ok? I got quite a large yucca for these yesterday and will probably end up with more than 3 cups and there are only 2 of us, and will probably have this as starter so 4-6 at the most. I am thinking of freezing either before or after the baking part, probably before if they hold together quite well. It will be nice to have ready lunch for the hubby. Kay, I have not frozen them yet to see but I would imagine if you reheat via toaster oven or conventional oven that they should maintain their integrity. I would probably not try microwaving them, however. Hope you enjoy!! I tried making these last night and the dough came out very sticky. It was difficult to shape the balls. Any suggestions? Hi Perla, did you allow the dough to cool completely? Working with the warm dough may be stickier. I think overcooking might also make the dough too sticky, but I have not come across that issue when I let the dough cool completely. You might also place it in the fridge to speed up the process to see if that helps. These look so delicious. But do you go to a special grocery store to find yuca? I’d love to use it on other recipes! I can find yuca at my local grocery in the “ethnic” produce section (with the plantains, mango, and papaya). I have been using it in EVERYTHING lately! Wondering if you could use Plantain’s as well or are they less fibrous and doughy so to speak? I made the Plantain tortillas the other night with fajitas and they held up pretty well. I was literally in disbelief as my expectations were not that high when I was making them but they taste so good, even as a snack. Plantains are definitely less dough-like but are great for several things. My taco shell recipe uses only plantains and my tortilla recipe uses a plantain and yucca blend. Try experimenting and see what works for you! Gave these a try tonight. I think I did something wrong I have a vitamin is it possible to over blend it? Or maybe it was the coconut oil I used I place of avacado oil. Any ideas? You can overcook it and/or dice it too small possibly. Did you let the mixture cool completely before trying to work with it? This recipe look great and will be good for the upcoming Latin party for a friend. However, I do not have a Vitamix. Only the average blender and food processor. Would that work? A regular blender CAN work but you will want to blend in small batches as the yuca can be sticky and can overheat your machine. The blender will still turn back on after it cools but this is the complication of using a blender without a tamper. Smaller batches can help prevent this somewhat. THANK YOU! Wow, you are fast. One day I will get a Vitamix. Oops, I realized after I already made these that the recipe calls for yuca (aka cassava), not yucca which are not the same. I went out and bought yucca root and used that, which turned out fine actually! I wonder whether it would have been slightly different with cassava though. Haha Erica, every single time I walk through the store with my arms loaded down with yuca I get strange glances. If (most) people only new that you could yield empanadas from that funky looking root! Just made these today…they turned out pretty good. Not as pretty as yours and I may have used too much oil…they seemed a little “oily” even after frying, but still, they held together well and tasted good. I’d make them again. Oh good Kirstin, I am glad they were tasty. I usually use paper towels to absorb excess oil and mine are not too greasy. Did you try that? My family loved these! Kids wanted third helpings! A couple things to share: no question dough must be cooled. Even then it is still very sticky. My husband who is the chef in this house devised a trick; cut a gallon baggie down the sides and cut off the ziplock edges which will give you a large plastic rectangle that you can set the dough balls into and then press them into round cakes. The dough easily, but carefully, came away from the plastic allowing us to transfer dough filled pastry to baking sheet. Also, this recipe is time consuming, we made them on a rainy Saturday for lunch but this in our opinion is not a weeknight recipe. We had never eaten Yucca before but we really liked it. Great flavor and the dough turns out like the real thing. 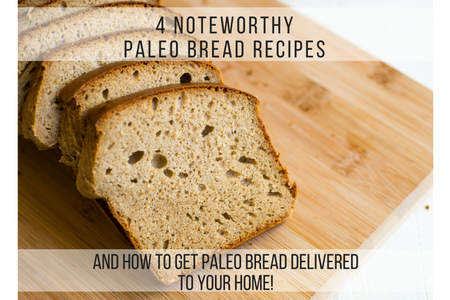 Thanks for the yummy creative paleo recipe! Breanne, you are absolutely right, it is not a grab and go meal! It can take a little work but we have been really happy with the end result. Also, you can try adding a couple tablespoons of coconut flour if yours is sticky as well. I have not really had this problem but I know a few people who have. Thanks for sharing your experience! I was really looking forward to these but they turned into the biggest stickiest non empanada-est mess I’ve seen in my life! How do you get the yuca to not act like GLUE!? Hi Genevieve, I am sorry these didn’t work for you. There are a few tricks that might help. One is to not overcook the yuca, the 2nd is to really let it cool down before you try working with it. And the 3rd is you can actually add a little bit of coconut flour to the yuca dough if yours is too sticky. Hope this helps! I have to agree with Genevieve…mine too turned into a sticky non empanada-est mess! I want to save it though, if I can because my beautiful meat mixture is waiting for it! I put in refrigerator for 2 hours to cool and it was cool to touch. It was difficult to even get out of the bowl, so I added avocado oil to help. I got it out but it was still VERY sticky! So, I added the optional 2 T (one tablespOon at a time after working it in before adding second T) and it was GLUE! I cooked the yucca for about 18 minutes or so because I didn’t want to over cook it! Any idea what went wrong and can I save this mess? More coconut flour, more oil…it is cool not warm. HELP! Usually extra flour and cooling does the trick! Hope you were able to salvage! Thank you soooo much for this recipe! My boyfriend LOVED these. I was feeling too lazy tonight so I made them into bite-sized sopes instead And topped them Nom Nom Paleo’s Kalua shredded pork and guac. Woah…can I say YuM??? Sounds like a pretty amazing combo! Give Texas a big smooch from me, I miss my home!! CLEARLY this was a hit for a lot of folks and started meaningful conversation as I scrolled down past the 60 plus comments to add mine. These were DELICIOUS. Your yuca video is informative and helpful…it takes the apprehension out of working with this root. I did everything the way you described and it turned out GREAT. The yuca also cost me $1.75 with tax (yay)! Zero issues with overly sticky dough…just letting it cool for 15 minutes was all it took after blending. The flavors and texture are incredible. I will make a double recipe next time. Thank you for this gem! So glad Jenny from the Block! You are a yuca superstar! I was just wondering, have you or anyone ever tried making this recipe with tapioca flour?? I know that tapioca flour comes from yuca or cassava. Would it be the same turn out? It may require eggs when using this flour along with oil. Krisia, I have not tried yet. I think it would be possible, but I usually avoid the eggs with these yuca recipes because doing so keeps them Autoimmune Paleo friendly. I plan to experiment with tapioca flour more, but have gotten used to working well with the dough I am able to make with the actual yuca. Let me know if it works for you! The ingredient list says 1/4 cup of avocado oil but the instructions say 1/2 cup. How much oil should we be using? Your Paleo Empanada recipe is amazing. The yuca “dough” comes out so light and crisp, and the leftovers reheated beautifully in the toaster oven. Outstanding recipe! Suzanne that’s awesome to hear! I am so glad you enjoyed them!! Great recipe. Thank you. It was my first time making the yuca dough and I made several mistakes (should have been a little more fork tender; don’t double the recipe or it’ll burn out my vitamix; a food processor doesn’t cut it; don’t add water thinking that it might help get things moving in the afore mentioned useless food processor), but even with all my mistakes, these were a hit! My whole family loved them and we will definitely make again…hopefully learning from my mistakes and making them even better 🙂 Again, thank you for a great recipe. Hi! How many people would you expect this to serve? Thanks! has your vitamix ever stopped working when blending the yucca? Mine did, ummm, I wonder what I did wrong. Do you think that maybe I undercooked the yucca? Thanks. Did you use your tamper? I have to use my tamper in order for it not to burn out. It just has to cool down when that happens. But yes, yuca is dense and a lot of work for your Vitamix! Hahaha! I overheated my Ninja blending the yuca. Guess I’m not the only one. Your tortilla recipe was the first time I had ever encountered yuca in my life. Loved it! Makes you wonder, who the heck dug one up and said, “Let’s eat this!”??? Glad they did though. Before I go and waste a bunch of yummy empanadas – in which state *do you think* they would freeze the best? Pre-baked, baked but pre-fried or totally cooked? Also, how necessary to do you feel the oil is to working the dough? I watched the video and didn’t notice you adding any oil. I ask only because the tortillas were so greasy and these are going to get fried in oil anyway. You can decrease the oil for sure, but I think it really helps the dough. If I were going to freeze them I think I would do so after baking, before frying. But I think someone else said they froze after frying and then reheated them. Just made these… OMG SO DELICIOUS! I couldn’t stop eating them! Thanks for sharing this fabulous recipe! Awesome! So glad to hear you liked them! geez. i’m wondering if i bought the wrong yucca. it was long and brown but it was so hard to work with. way too sticky. i let it cool in the fridge for about 2 hours. the empanadas were a total mess on the baking sheet and completely fell apart. such a waste of ingredients! Sorry to hear that, did you add in coconut flour to combat the stickiness? Wow, I’m pretty darn excited to try this. My DH is allergic to eggs, nuts, & coconut so a lot of amazing Paleo recipes are a no-go for him and we have to stick with the basics of meat, veggies, & sweet potatoes. He eats organic sprouted corn tortillas just cuz he’s so darn limited on food. Thank you thank you!!!! I have made these 2 times and each time the dough is not like dough at all. It is very sticky and hard to roll into a ball and even harder to flatten. What could I be doing wrong? Usually when people have had difficulty with the dough they either have not let it cool completely, chopped it too finely before boiling, or did not incorporate coconut flour into it afterwards. Have you watched my youtube for tips? It tends to be helpful for those who have not worked with yuca much before in this fashion. Hope this helps! I am a big fan of avocado oil not only for its high smoking point but also for its many health benefits. If you are adverse to it for whatever reason, you may choose an oil better suited for you. Theses were absolutely fantastic!! I’ve been wanted to make these for a long time but where I lived I couldn’t find yuca! Well I moved to another state and found it at Whole Foods. Was disappointed it wasn’t organic but I was desperate to make these!! I’m in love with yuca now and can’t wait to make more things with it! I used coconut oil try fry but avocado oil when I mixed the dough. I also seasoned the coconut flour with garlic powder, salt and pepper and added that to the dough about 1/8 cup. I also changed the inside ingredients a little. I didn’t use carrots but put in onions, red bell pepper and Anaheim peppers. I also seasoned with garlic powder, cumin, chilli powder, salt and pepper. I used fresh cilantro instead of parsley. These were amazing! Thank you for all you do for AIP. I’m bad I eat cumin but it doesn’t affect me. Thank God! Hi I really want to make these today, but I don’t have any avocado oil handy… can I substitute coconut oil? Yes! Just keep in mind flavor changes. Ghee or lard can be used as well! So I was very excited to find your recipes using yucca “dough”. After making it though, I find the taste to be bitter and I just can’t get past that. Is this what it is supposed to taste like? Are there any tricks or tips you can offer to rid this from the end product? Hi Beth, I have never heard of yuca being bitter before? I wonder if your root was rotten? Was it fresh, frozen, or pre-shredded? Yuca is very mild tasting, similar to a potato. Yeah I got the potato flavor but the finish was definitely bitterness. I have 35 years in the food business so while I have never worked with yucca before I do not think it was rotten. I will give it another try since I now know this is not how it is supposed to be. I hope the next round is a thumbs up. I have never tasted this bitterness or heard that feedback before so I am hoping it was just an “off” root. Hello Jennifer. My name is Dan and I am a founder of Easy Fast Recipes website. 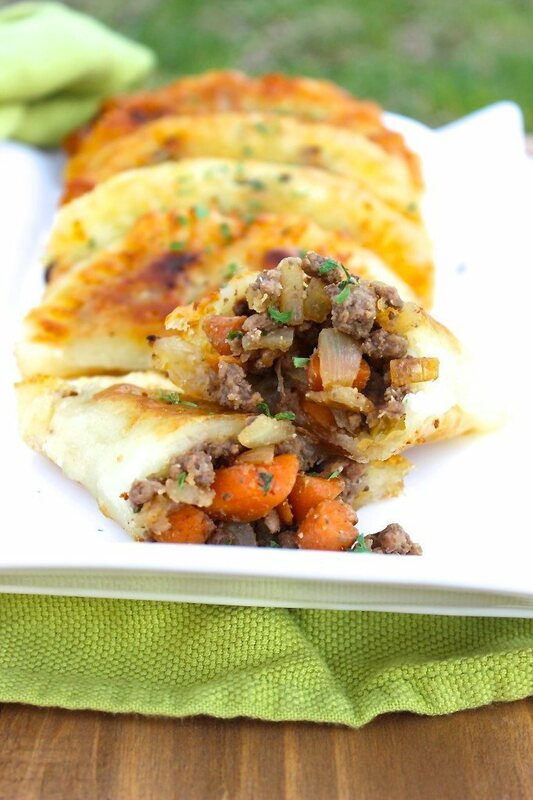 Many thanks for this fantastic Paleo Empanadas recipe! Simple and affordable ingredients, easy to follow step by step instructions. I am a Paleo diet follower myself. This is yummy easy fast recipe and it’s surely going into my bookmark list. Hello! Yuca is SUCH an interesting food! I could not believe it literally turned into a dough — almost as crazy as spaghetti squash. 😉 The flavor of the empanadas was great, like some of the others I substituted carrots for peppers….anyway, the dough definitely crisped up a little but overall were fairly flimsy and a little soggy. Do you think I may have used too much oil? Not fried long enough? Or is that what is to be expected with the yuca dough? If it was soggy, consider making your oil a bit hotter before you fry them, cutting back oil in the recipe (in the dough), adding more coconut flour, or rolling the dough a bit thinner. Hope that helps! They should definitely crisp up though! Thanks for this recipe!!! It’s amazing and worth all the work!! There are a few things. You can run hot soapy water in the blender on high for a minute or you can also let cold water soak in it so the yuca sort of hardens and can be removed. Both methods are pretty effective! Great! I have cassava flour but really want to try the whole yuca! I’ve made empandas for my boys for years but recently we cut out all grains and I haven’t found a dough that is suitable. I’ll find yuca soon. I’m on a mission now!!! Two options, be sure to ask your mainstream grocery to order it for you! Most are accommodating and will help you out. My local Giant has both fresh and frozen. The frozen is peeled, making it easy to work with. Second, you can actually order yuca on Amazon as a last ditch effort! oh wow, these sound AMAZING! I am going to hunt down some yucca and will definitely try them! Thank you for all the creative recipes you post, it’s wonderful to be able to find some delicious AIP-friendly meal ideas! I made these today and they were delicious. I had to use the coconut flour to help with the sticky. It was so thick it shut down my vitamix twice! Any tips on how to blend the yucca better? You can do smaller batches in the Vitamix and also make sure you are using cooled yuca vs hot. And definitely use that tamper, it’s your BFF in yuca dough! Wow, I’ve never cooked with yuca before and had no idea what it would taste like and these were great!!! I definitely have to play around with the size of them and try to get more meat in there. I also plan to add more spices next time, since I prefer spicy food. I am so impressed and happy to have found this recipe and now need to find out what else to do with yuca! I have a bunch of other yuca recipes, I hope you’ll enjoy them all! Hi! Couldn’t find a way to email you but it looks like another site is posting this recipe verbatim. Thank you so much! That is my recipe indeed and it is illegal to “borrow.” Thanks for the heads up! These were really good, but really hard to make and very time consuming. You have to have a ton of patience and time to make these. I tried it in my Vitamin and it overheated my machine (I really hope I didn’t kill it), so i had to use my food processor. I will make them again for sure. I saw that you have YouTube videos so next time I venture to make these, I will watch the video first. It gets easier. The first few times it can take awhile and then gets much faster. Check out my newer blog post about making the dough from grated frozen yuca. It’s even quicker! I’ve made these twice now, and they were amazing! I’d already used yuca in making fries, so I was familiar with the root and the preparation. I made these with frozen root both times. The first time my dough was still sticky after cooling, so I used arrowroot or tapioca starch and it worked nicely. I also roll mine out on parchment paper with a rolling pin. You can either cut another piece of parchment out to place over the ball after you flatten it, or dust it with some arrowroot/tapioca starch or coconut flour. The 2nd time I made these, the dough came out less sticky, but still was too sticky to roll out with a rolling pin. I used coconut flour on the 2nd time, but it was homemade coconut flour, which is less dense than purchase coconut flour (by product of making coconut milk with shredded coconut 🙂 ). I also have a Vitamix, but it overheated a couple times the first time I made them, so I decided to try the food processor the 2nd time. I personally had better luck with the food processor, and it is much easier to get the dough out of the food processor container than the the tapered Vitamix container and from around the blades. I do plan to freeze some of these next go round. I may try to freeze one baked only (not fried) and one that has been fried, just to see which comes out better. I read through all of the comments and haven’t seen anyone comment who has actually frozen them and provided feedback. When I try this, I promise to come back and comment so others who wish to batch cook them might know which method works best. I am having so much trouble with the dough! I didn’t over cook the yuca and also put it in the fridge for a couple hours! I greased my hands and even put a little coconut flour, but it was sooooooo wet and sticky!! I couldn’t even make them so I just had to mix the dough and meat together lol. any tips what I did wrong?! Ummmmm, okay lemme think. Sometimes there is softer yuca that tends to break down more easily. You can use less oil, more coconut flour, cut the chunks bigger but it sounds like you did everything right from what I can tell. I guess you’ll just have to come to my kitchen and watch me in person so next time goes better LOL jk jk. Is there a way to make this with tapioca flour? I’m so sorry if you’ve already answered this question. I read a LOT of the comments and I didn’t really see a way describing how or if you could. Unfortunately, I checked all food stores around here, even the specialty stores, and I’ve had no luck finding any yuca. I am bound and determined to make these! If there’s no way to make it with tapioca flour (forgive me if I’m wrong, I think that’s the flour that comes from yuca?) do you know where I can maybe order some (yuca) online or something? Any advice would be fantastic, me and my (incredibly supportive) family are just dying to try these! Sorry this is so long! ? It won’t work with tapioca starch unfortunately. Can you order the cassava flour at least? bit.ly/cassavaflour – it’s easy to get, free shipping and you can work with it!!! Yes! I have seen cassava flour around! So exciting. I apologize. I poked around your website after my long comment and found the recipe using cassava flour. Thank you for your response! We can’t wait to try these. And a lot of your other recipes. I have not been able to find yuca here. Can I use cassava flour? and if so how would I change the recipe? Read my post titled “Cassava Flour Dough” – it’s possible but it would help you to know the differences before working with it that way! Could you make these using your “Cassava Flour Dough” for time and simplicity? 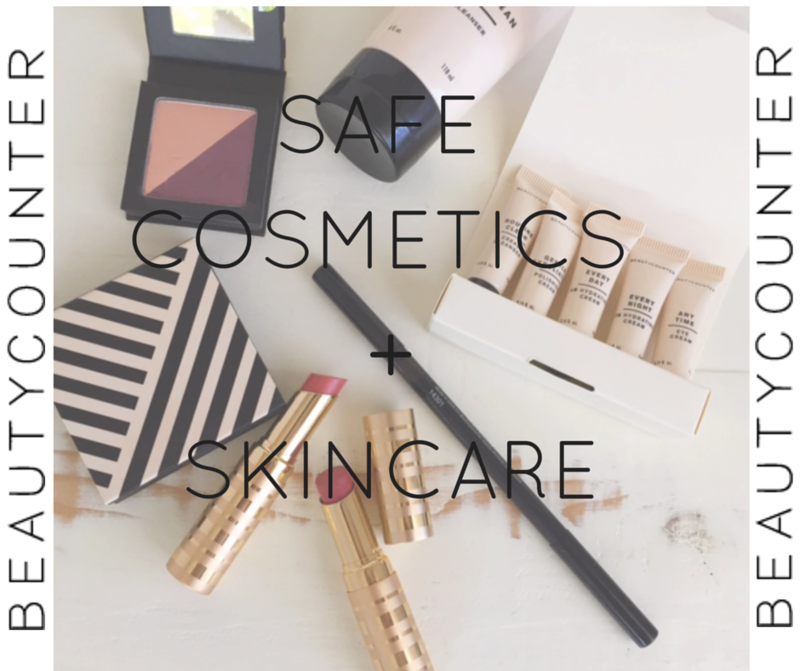 You could but be sure to read my post on that since the texture is definitely different! Could you let me know what’s 3 cups of chopped yucca in terms of weights (oz or gram)? yucca has different sizes and different size has different amount of 3 cups. thanks! I would have to remake this, which I can do, but I don’t know off the top of my head, I’m sorry. Can I use frozen yuca chunks? Cooked the same way? This looks so good! Are there any substitutes for yuca? Thanks pfor sharing! I love how simple this is. You could even make the filling ahead of time and fry later!